A traditional German Christmas cookie. 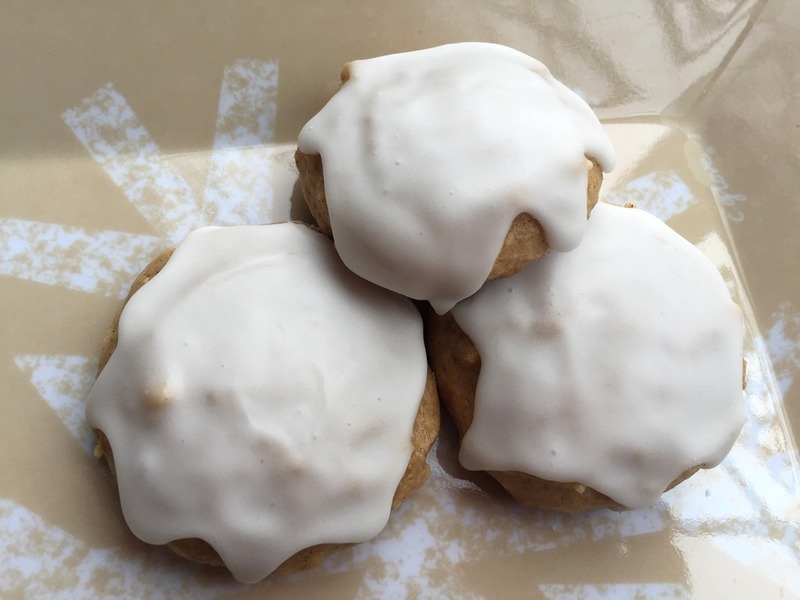 These cookies have a soft cake-like texture and similar spices as gingerbread. Iced with a sweet lemony glaze. Preheat oven to 350°F. Line baking sheets with parchment paper or silicone mats. In a mixing bowl, beat honey, sugar and butter until light and creamy. Beat in eggs, marmalade, and almond extract. Stir together the remaining dry ingredients and beat into wet mixture until smooth. Drop by tablespoonfuls onto prepared baking sheets. Bake for 8-10 minutes. Cool completely on a wire rack. Spoon glaze over cooled cookies. Combine all ingredients and whisk until smooth. Add more sugar until you reach desired consistency.